Group fitness fun available vi..
MTSU shows off campus with sec..
MTSU’s Department of Recording Industry is teaming up with a Nashville-headquartered audio preservation company to give students in the audio production, music business and commercial songwriting programs new tools and training to manage their musical projects’ digital data. VeVa Sound, which also has offices in New York, London and Los Angeles, is basing its collaboration with MTSU on its Studio Collect software suite, giving students a cloud-based environment that mirrors the workflow and functionality VeVa Sound uses with major record labels and other industry clients. “This partnership represents everything our department embraces,” said recording industry department chair Beverly Keel. Professor Michael Fleming, who teaches audio production at MTSU, noted that studio documentation still presents a challenge in the digital age. “There’s a wide range of technical, creative and legal information that needs to be captured and preserved over the lifespan of a professional project,” said Fleming, whose courses include digital audio technology, critical listening, studio recording, mastering and classical music production. VeVa Sound Vice President Deborah Fairchild said the new partnership benefits both the students using the software and the industry they’ll work in. “We are proud to have created a meaningful partnership with a university that has fully collaborated with us and embraced the relevance of VeVa’s platforms with the goal of providing these opportunities to MTSU students,” said Fairchild, herself an MTSU recording industry grad. Keel called the partnership a “milestone” for the program’s future producers, engineers, musicians and managers. “It exemplifies what we hope to instill in our students, because it reflects an alumna giving back to her alma mater,” Keel said. “Deborah Fairchild is one of our graduates, so it is deeply meaningful to us that she is sharing her company’s vision and hard work with our students to prepare them for a career in the changing industry. The Department of Recording Industry is part of MTSU’s College of Media and Entertainment. For more information, visit www.mtsu.edu/recording-industry. 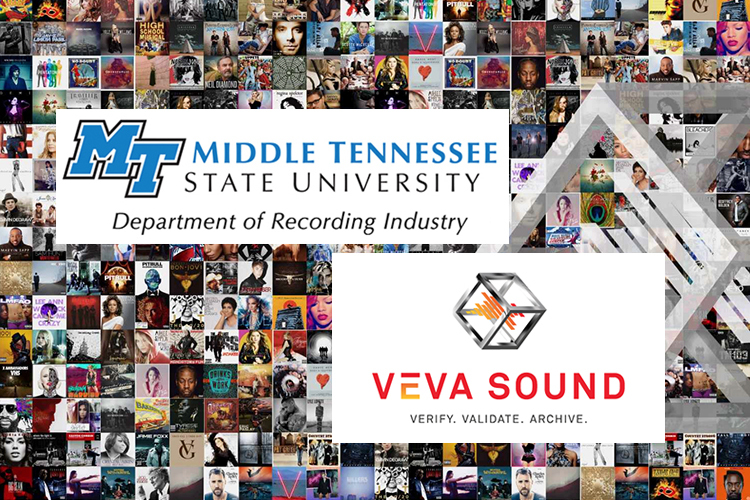 You can learn more about VeVa Sound, which employs several other MTSU alumni, at http://vevasound.com.